We also saw 2018 as the year of women in country music, and it’s about time! In April 2018, Lindsay Ell became the first Canadian woman in a decade to have a song reach number 1 on the Canadian charts for her single “Criminal”. Then in December, Meghan Patrick hit number 1 with “Walls Come Down”! The last time there was a year where two Canadian female artists had a number 1 hit was back in 1999. On the Front Porch, we wrote about a lot of great music and introduced you to some great emerging artists. Of all the music we wrote about though, there were some songs that you all couldn’t get enough of. We took our top performing music reviews and created this list of the Top 10 Songs of 2018 from the Front Porch. This was determined based on Page Views. So here are the top singles from 2018. It was a great year for Jess Moskaluke! From winning the CCMA Award for the FORD Album of the Year, to performing in the Shania Twain Tribute at the award show, to being one of the top artists on the Front Porch! Our review of “Camouflage” is consistently one of the top viewed reviews on the site, and continues to perform well at country radio. “Camouflage” is the 4th single released of Jess’ album Past The Past which was written by Jess Moskaluke herself, Kelly Archer, Lindsay Rimes, and Emily Shackelton. These talented songwriters did such a great job and have, in our opinion, created one of the greatest breakup songs in country music. 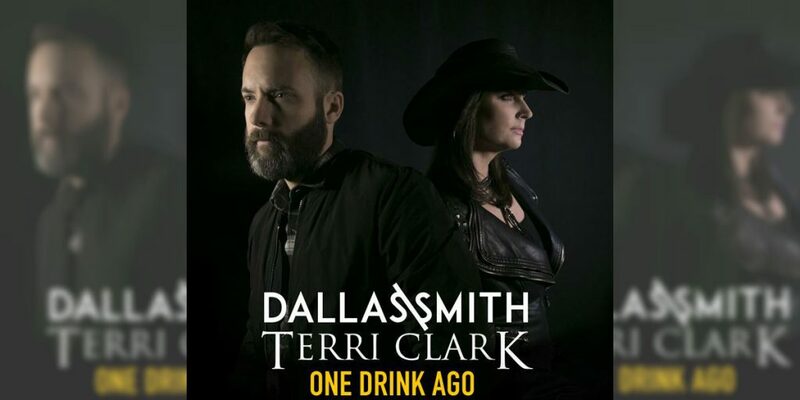 On the surface, this collaboration from Dallas Smith and Terri Clark seemed incredibly random! But when you understand that they are good friends, and you hear the song, the collaboration seems so natural. On Spotify, “One Drink Ago” has had over 1.7 million streams, and has had some great play on country radio. Based on traffic to the Front Porch, “One Drink Ago” is also the 9th most popular single from 2019! This song is really fun! The song starts with Dallas and features his signature sound and guitars. When Terri comes in at the chorus, it’s like their voices are a perfect match. After the chorus, Terri comes in with her more classic sound, but accompanied with a more modern melody. It’s been a big year for Canadian country artist Brea Lawrenson. She released her album Demons, which featured its first single by the same name. The entire album is great, but this song in particular was the 8th most viewed song on the Front Porch for 2018, and we can’t wait to see what 2019 has in store for her. At the surface, “Demons” is a laid back track that’s perfect to turn up and sing along to in the car. But when you really start listening to the lyrics and hearing the song in its entirety you realize that it’s a very deep and personal song. Brea has really poured her whole heart into this song and it couldn’t have turned out better. It was a big year for Dallas Smith up here on the Front Porch! He’s back on this list for the second time for his song “Make Em Like You”! It’s a pretty chill song that is a great follow-up to “One Drink Ago“. This song was a great Summer song that got you in the mood to relax, and spend your day floating along the lake. This single stays very true to Dallas’ typical style. His voice and melodies are unmistakable and impossible to miss. 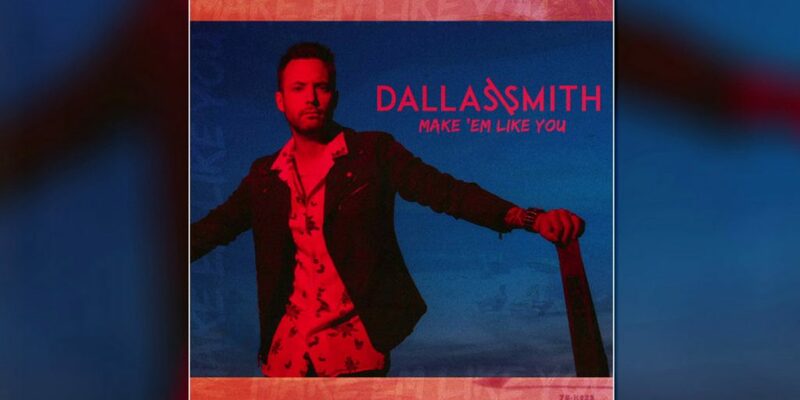 Check out the music video for “Make Em Like You”. We love this song from Shawn Austin, and so happy to see that you all love it as much as we do! 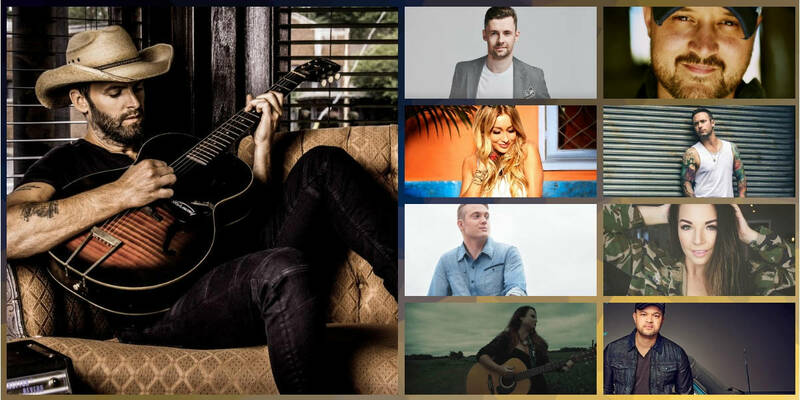 His song “You Belong” has been one of the most popular songs on the Front Porch for 2018. This single has had more than 1.2 million streams on Spotify, and he’s also been one of the most searched for Canadian country artists on Google in 2018 – kind of a big deal! Fun Fact – One of his managers is Dallas Smith, so in a weird way, Dallas has made his way to this list for the third time. What a year it has been for Aaron Goodvin! It seems like he has been one of the top selling artists for most of the year, so it’s no surprise that his song “You Are” was one of the top songs on the Front Porch for 2018. Is anyone really surprised that Madeline Merlo single “Neon Love” is one of the top songs on the Front Porch for 2018? It’s such a fun song that performed well on country radio, has had close to 2 million streams on Spotify, and has had over 300,000 views on YouTube for the music video. This single was a follow-up to her huge hit “Motel Flamingo” which entered the top 10 on the Canadian country charts pretty quickly. With singles like “Motel Flamingo” and “Neon Love”, Madeline is proving that she is the authority on Summer songs in the Canadian country music landscape. Watch the video for this song – it’s super cool! Actually, it’s probably one of the best Canadian music videos we’ve seen in a very long time. The entire EP Love a Girl from Tebey was one of the most viewed stories on the Front Porch of 2018. All of the singles on this EP are strong enough for commercial success, which is one reason this entire album was so popular on the Front Porch. This was his first EP after a much deserved break from being in the public spotlight. Each single has standalone power, but when you listen to the EP as a collective piece of work, there’s definitely a story of emotions that come through the speakers. All the songs are in some way about a girl and love. From the passionate “Wreck Me”, to the fun lightness in “That’s Gonna Get You Kissed”. Jade Eagleson was one of the breakout artists of 2018. Fresh off his win as the 2017 Emerging Artist at Boots & Hearts Music festival, 2018 was sure to be a big year for him. “Got Your Name On It” was the perfect debut single for Jade Eagleson! It’s a great song, and it was accompanied by the world’s cutest music videos. It’s no surprise that this was the second most viewed song on the Front Porch in 2018. You would be hard-pressed to find anybody who doesn’t love Dean Brody. Everything about him is great – his lyrics, his melodies, his sound, his style, his Instagram. Everything! His song “Good Goodbye” was the most popular song on the Front Porch for 2018, and he was one of the top searched Canadian country artist on Google this year as well. He seemed to be particularly popular in Prince Edward Island, with most of the Google searches coming from that region of the country – interesting! Everything about “Good Goodbye” exudes Dean Brody’s typical style, with a couple summery/vacation soundscapes thrown in. The vocals and melody are really laid back, and features some very big sounds that pay homage to mariachi, and Caribbean styles of music. There’s no steel drums, but if you squint with your ears (is that a thing?) you can almost hear them. What do you think? What was your favourite song of 2018? Leave us a comment bellow to let us know! We would love to hear what you’re listening to. Text Jess Moskaluke For A Surprise!